Recorded Live at Wembley Arena, London, England - October 27, 2002. Files: 28. :: Size: 1.16 GB (flac). 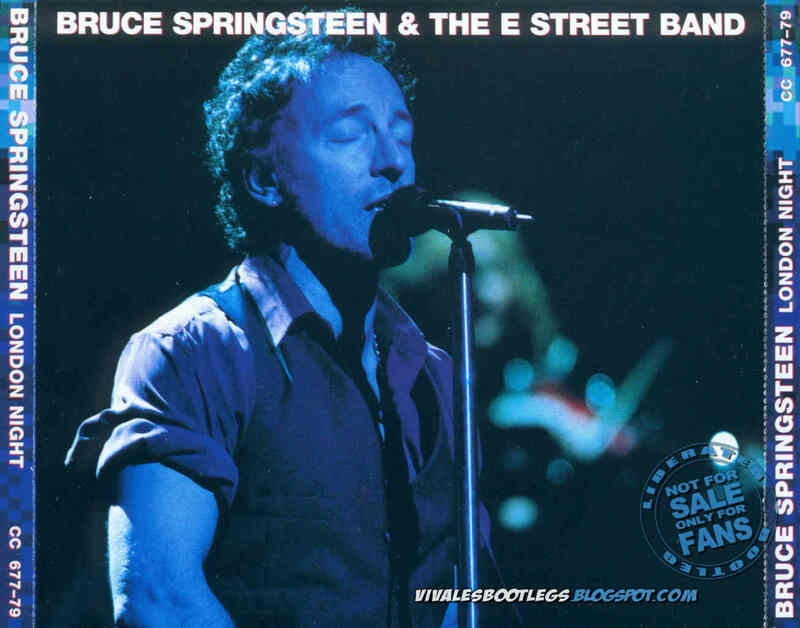 Personnel: Bruce Springsteen - lead vocals, most lead guitars, harmonica :: Roy Bittan – piano, synthesizer :: Clarence Clemons – saxophone, background vocals :: Danny Federici – organ, electronic glockenspiel, accordion :: Nils Lofgren – guitars, pedal steel guitar, dobro, banjo, background vocals :: Patti Scialfa - acoustic guitar, background vocals :: Garry Tallent – bass guitar :: Soozie Tyrell - violin, percussion, background vocals :: Steven Van Zandt – guitars, mandolin, background vocals :: Max Weinberg – drums. Notes: Absolutely amazing sound, which makes this one more than essential. ::: The final show of the short 2002 European tour featured all the highlights of the first couple months of the 2002 "barnstorming tour," including "Jackson Cage," the solo slot (extended to two songs at this show), and a very cool "wild card" song after "Waiting on a Sunny Day." Bruce relied heavy on the "Darkness on the Edge of Town" material early in the tour, but he moved away from that as the tour progressed, and "No Surrender" and "Jackson Cage" were more than happy to take those spots. "Jackson Cage" was a semi-regular on "The Rising" tour after not being played since "The River" tour. 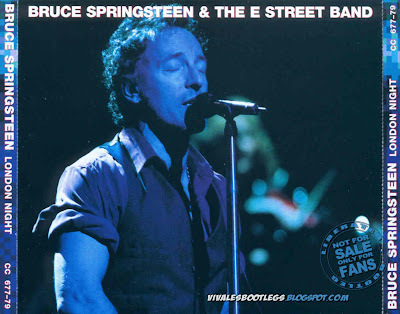 The slot between "Sunny Day" and "World Apart" became a wild card, much like the post-"10th Avenue" spot was on the Reunion tour, and Bruce frequently filled that spot with "Bus Stop" and other "Greetings" material. The solo slot, which came after "Countin' on a Miracle," was a favorite of fans, and Bruce usually sat down at the piano for this one. The most frequent songs in that spot were "Incident on 57th Street" and "For You," and this London show featured "Incident" and "The River," which was done on acoustic guitar. "Dancing in the Dark" made its tour debut in Tacoma, Washington, on August 21, 2002 in a full band arrangement, the first since the end of the Amnesty Tour on October 15, 1988. Instead of going heavy on keyboards, though, Bruce went with a guitar-driven arrangement and the song just cooked, becoming a highlight of the entire tour.<-(Info taken from brucebase.org.uk). Thank you very much for The Boss. All the best for you. Excellent show with excellent sound.